Toyota models are all about dependability and versatility. No matter if you’re in the market for a new family car or an efficient commuter vehicle, there’s a car out there for you and Andy Mohr Toyota can help you find it. Brownsburg, IN, is one of the most popular cities in the area. In fact, it was featured as the highest-ranking town in Indiana on CNN Money Magazine’s list of America’s Best Small Towns. From its friendly and safe communities to its excellent schools, it’s easy to see why the town made it on this prestigious list. Of course, Brownsburg is also a great place to visit. With a variety of different points of interests, this town can provide a bit of fun and even more excitement to everyone from children to adults. To help you explore all that this lovely town has to offer, visit our Toyota dealer near Brownsburg, IN. With our team of Toyota experts and all the services and resources you need, you’ll have no problem finding your perfect new car for your life in Brownsburg. Our local Toyota dealer has proudly served drivers in community with the exceptional car buying experience they deserve, and we’re ready to do the same for you, too. When you’re ready to drive home in your new or certified pre-owned Toyota, our team will walk you through our showroom to give you a closer look at our entire selection. Whether you want to see the sleek and stylish exteriors of our Toyota sedans or the spacious interiors of our Toyota SUVs, we can help you learn all about our vehicles, so you can make the most educated car buying decision. We’ll also walk you through our selection of used and certified pre-owned vehicles and provide you with all the information you need to know about each one, so you can choose the model that truly is perfect for you. And no matter which type of car you choose from our inventory, you can trust that they will produce the reliable performance you need to get to wherever you need to go in Brownsburg, IN. After you’ve browsed through our inventory and chosen your ideal new Toyota, our finance experts are here to help. With years of experience in the industry, they’ll walk you through the entire approval process to give you an idea of what you can expect each step along the way. From there, they’ll use their connections with many banks and lenders to secure the option that you deserve. Plus, the entire team here at our Toyota dealer near Brownsburg is dedicated to helping all customers drive home as happy as possible. That’s why we are proud to provide services to everyone no matter what type of credit score you may have. To keep your Toyota running like new for years to come, just bring it to our dealership. 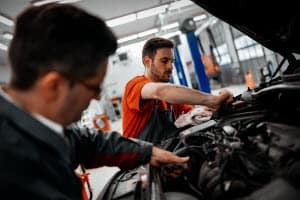 In addition to a great inventory and professional finance services, we also offer automotive services that can help preserve the condition of your car for as long as possible. If you need an oil change or any other type of routine maintenance, just let us know and our training technicians will work on your car to keep it as good as new. If you need a major repair, we can help with that, too. All you have to do is schedule a service appointment. Andy Mohr Toyota is committed to serving drivers around Brownsburg just like you with the outstanding car buying services you need to find your next new car. 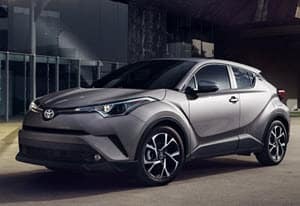 So, if you’re looking for a reliable vehicle that can get you around town with ease, just contact us or visit our Toyota dealer near Brownsburg, IN, to find your perfect new car today.